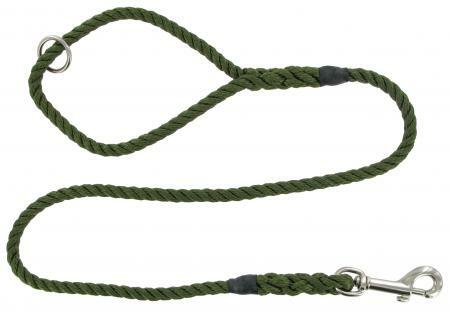 This lead is a traditional clip ring lead that is made of soft material that is gentle on the wrist yet strong. It is 3ft 1" or 1 1/2ft when doubled. Available in green only (as shown).